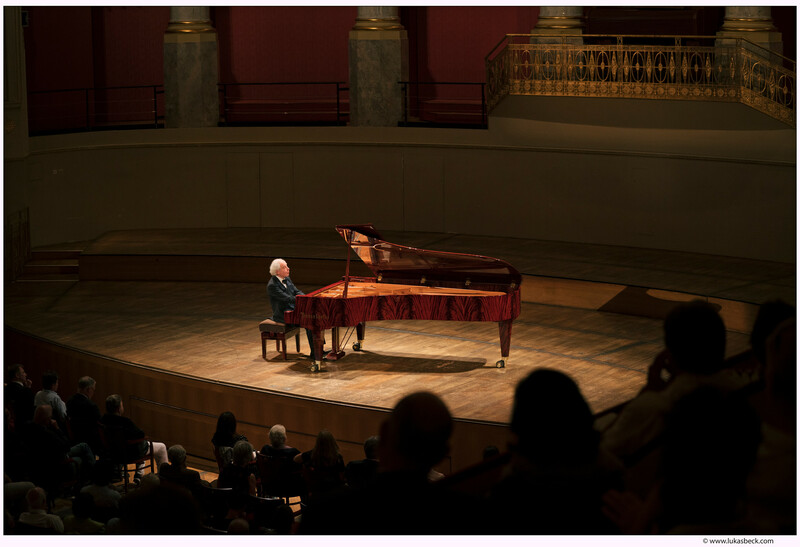 Sir András Schiff fulfilled his long-cherished wish and presented for the first time the especially for him built 280VC Vienna Concert in Pyramid Mahogany on June 3, at the Konzerthaus in Vienna. The perfectly lit grand piano suited wonderfully into the ambience of the large concert hall. Why are today all pianos on stage black? String instruments present their natural wood - why not a grand piano? His concert program placed works by Brahms, framed by his idols Mendelssohn Bartholdy, Beethoven and Bach, in the center of the evening and the creative freedom of the composers: sometimes virtuoso, sometimes lyrical. Schiff created an infinite spectrum of colours and finest nuances. The newspaper "Die Presse" describes the grand piano with "... noble sonority. An ideal instrument for an interpreter who relies on differentiated elegance and lyrical density, even in the most dense, technically demanding passages. The highlight was Schiff's meticulous interpretation of the late Brahms pieces, whose subtle sonorities and complex rhythms he worked out with unparalleled naturalness.” Between the never-ending applause of the audience, Schiff played five encores. His concert grand piano - 280VC Vienna Concert in Pyramid Mahogany – accompanies him from now on to his concerts in Europe.